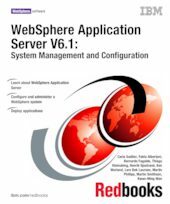 This IBM Redbooks publication provides system administrators, developers, and architects with the knowledge to configure a WebSphere Application Server V6.1 runtime environment, to package and deploy Web applications, and to perform ongoing management of the WebSphere environment. One in a series of handbooks, the entire series is designed to give you in-depth information about the entire range of WebSphere Application Server products. In this book, we provide a detailed exploration of the WebSphere Application Server V6.1 runtime environments and administration process. The book includes configuration and administration information for WebSphere Application Server V6.1 and WebSphere Application Server Network Deployment V6.1 on distributed platforms (excluding iSeries) and WebSphere Application Server for z/OS V6.1.